Our investigation began with a simple online search and even before we created the free account on FlirtHookup.com we could already read the complaints and reports from hundreds of other users who fell into the claws of this fraudulent and so-called dating service. 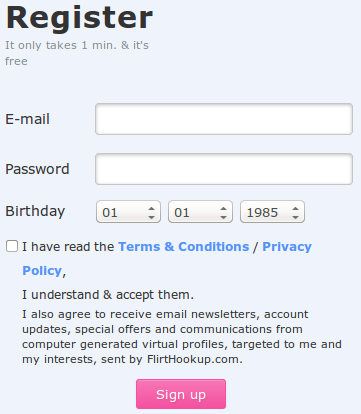 In this article we will review FlirtHookup.com, so continue reading. However, there is no need for upgrading and letting your precious money go down the drain. Why is it so? -Because everything from the email messages to women’s profiles is fake. We explain these issues into detail, in the following sections. What they are basically saying is that they “employ technical means” which means they use computer software to send you messages. So, the emails you get that compel you to upgrade to a paid subscription are fake. Their goal is to do it well, so that “you may never know” that the messages are completely automated. Oh, and did you realize you had already agreed to the terms and conditions of service upon your initial sign up? Don’t worry if you didn’t, they write it in small letters hoping you’d overlook. Our advise to you is to always go through the terms and conditions document on a website before you pay for any services. This is important because when you read that they confess to be doing all these scams, you won’t ever give your money and get ripped off. Just have a look at these beauties who have created dating profiles on FlirtHookup.com and are posting provocative photographs of themselves. Do you really think that hundreds of gorgeous women would be waiting to hookup on a dating site, rather than in real life?! We had that thought in mind and went on to further explore the site. 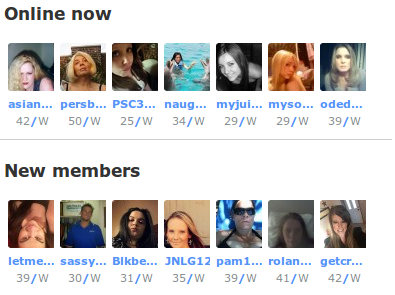 Many of the scammed past users of FlirtHookup.com were complaining that they kept getting messages form women on the site, but when they paid to read the emails and tried to chat with those women, they never heard back. Sounds like a waste of money, doesn’t it? To all our dear readers, we advise you to stay as far as possible from this site! There is no reason to even sign in in the first place, now that you know you’ll be getting absolutely NOTHING for your money. Even if you have created your profile, there is no point in paying for a Premium Membership. FlirtHookup.com is after one thing only, and that’s your money. It’s clear they have no intention of matching you with real dates, and they admit it! Contact the Better Business Bureau and file a complaint if you too were scammed and ripped off from this site. If you’re tired of hearing all the nonsense I’ve just thrown at you, then you need to test out a few fool proof dating sites that actually work. See that banner below? Click that red “Click Here” text to reveal the best dating sites on this planet. How do I know? I use them every single day.